Julia Cen Chen-Sankey, Ph.D., M.P.P. 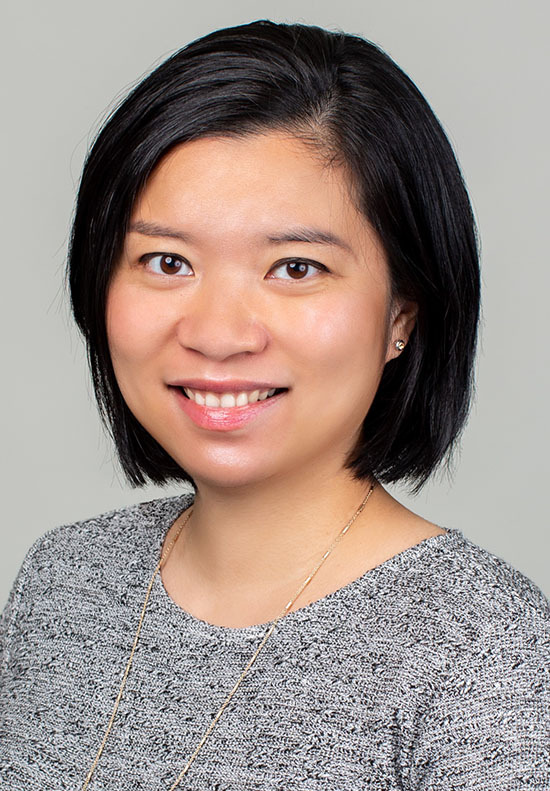 Dr. Julia Chen-Sankey is a postdoctoral fellow at the Intramural Program of the National Institute of Minority Health and Health Disparities (NIMHD). Her research broadly involves investigating tobacco use patterns among vulnerable populations such as youth, young adults, and racial and ethnic minority groups. Dr. Chen-Sankey’s current research examines the use and perceptions of flavored tobacco products among vulnerable populations. Specifically, she explores how flavored tobacco use may contribute to the progression of tobacco use behavior and the establishment of nicotine dependence among the vulnerable populations and the dual use of flavored e-cigarettes and combustible tobacco products among young adult smokers. Dr. Chen-Sankey also conducts research to evaluate the influence of tobacco marketing on the initiation and progression of tobacco use among youth and young adults. Dr. Chen-Sankey is currently serving as the co-chair of the membership subcommittee, Adolescent Network at the Society for Research on Nicotine and Tobacco (SRNT). She is also an associate editor for the journal of Tobacco Regulatory Science and serves as the ad-hoc reviewer for multiple peer-reviewed journals such as Tobacco Control. Dr. Chen-Sankey previously worked as a research analyst at the Office of Minority Health and Health Disparities, Maryland Department of Health. For this position, she produced multiple reports highlighting the health disparities observed among the racial and ethnic minority groups in Maryland. Dr. Chen-Sankey received her Master of Public Policy degree in 2012 from School of Public Health, Johns Hopkins University and her Ph.D. degree in behavioral and community health in 2018 from School of Public Health, the University of Maryland. Chen, JC., Das, B., Mead, EL, Borzekowski, DLG. (2017). Flavored E-cigarette and Cigarette Smoking Susceptibility Among Youth. Tobacco Regulatory Science, 3(1), 68-80. Chen, JC. (2018). Current Flavored E-cigarette Use and Past-Year Cigarette Smoking Reduction and Cessation Among U.S. Young Adults. Substance Use and Misuse. 2018 Apr 6:1-15. doi: 10.1080/10826084.2018.1455704. Borzekowski, DLG., Chen, JC. (2016). Tobacco Cues in India: An Ecological Momentary Assessment. Journal of Tobacco Induced Diseases. 14(16). Soong, A., Chen, JC., Borzekowski, DLG. (2015). Using Ecological Momentary Assessment to Study Tobacco Behavior in Urban India: There’s an App for That. Journal of Medical Internet Research. 4(2).